Our mission is to provide uniform and work apparel to corporate companies, public service and government organizations, hospitality, schools, athletic programs and health care professionals. Our uncompromising commitment to superior customer service is an integral part of achieving our goal of establishing an industry-wide reputation for honesty and integrity in service to our customers. For well over a decade, we have built our reputation on the basic premise of doing business right with every customer on every transaction. We are committed to this philosophy on every product we sell. We are proud to offer uniforms and apparel from the most respected and trusted manufacturers in the uniform and work apparel industry. We are dedicated to bringing our customers high quality apparel at the lowest possible prices. 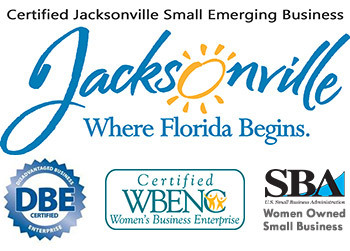 DGG Uniform & Work Apparel is certified as a women's business enterprise through the Women's Business Enterprise National Council (WBENC), JSEB, DBE (UCP) and WOSB (SBA) certified. We recognize the commitment to supplier diversity that is embraced by corporations and government agencies today, and we can add diversity to your supply chain.